"I'm a tough motorcycle cop. I've got no emotion." 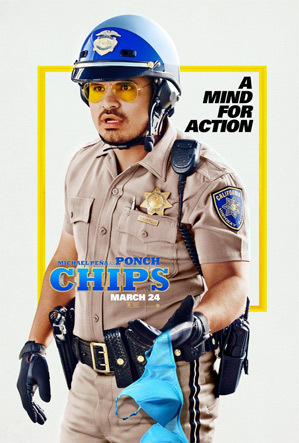 Warner Bros has debuted a new red band trailer for the CHIPS movie, a big screen version of the goofy TV show about California Highway Patrolmen. This comedy is yet another update on barely-remembered, totally cheesy TV shows, like 21 Jump Street, now packed with self-awareness and contemporary humor. Dax Shepard directs himself in the film, co-starring Michael Pena, plus Jessica McNamee, Adam Brody, Ryan Hansen, Vincent D'Onofrio, Justin Chatwin and Kristen Bell. The first trailer made this look like they're borrowing from Super Troopers. This new trailer makes it look like they're borrowing from Point Break. Either way, this really doesn't look good at all. 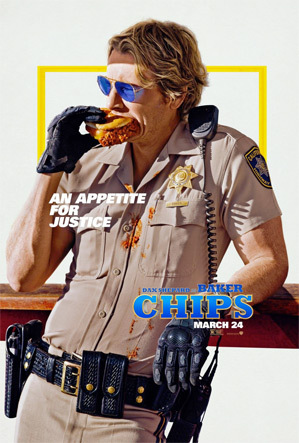 You can still watch the first official trailer for CHIPS here, to see even more footage from this movie.